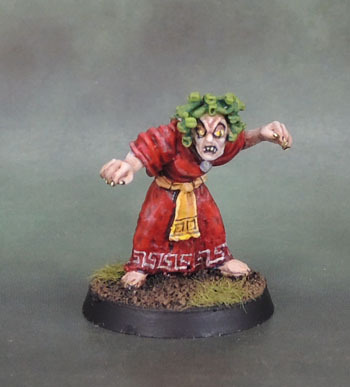 C18 Night Horror: Medusa (1987) #Fembruary Painting Challenge Success (Again) | Azazel's Bitz Box. 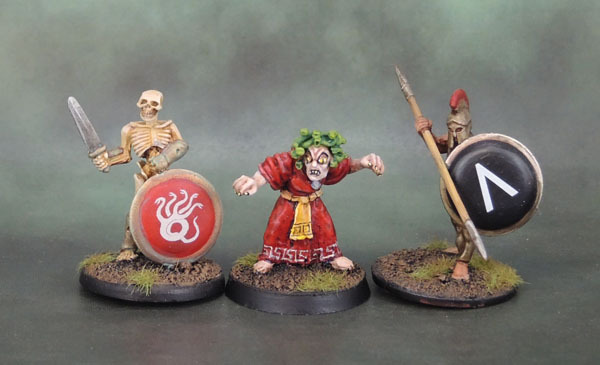 This entry was posted in Mythical Greek Army, Oldhammer and tagged #Fembruary 2018, C18 Night Horror: Medusa (1987), Classic Citadel Miniatures, Neglected Model February 2018, Oldhammer. Bookmark the permalink. Thanks Alex. It’s a pretty boring model unless you give it something extra – probably one of the big reasons it took so many years to get it finished. I’ll forgive you for liking the model as well, even! Glad to see an old piece get the love it deserves! Think it all works well! Like the scary eyes! Thanks mate, I gave her snake-slit eyes. Had to do something with them being so big! I did actually spot that they were snake eyes! Great idea, considering her hairdo! “(Or Meander)”, haha! Nice work. Really like the hydra on the skeleton’s shield too, I remember seeing that symbol before. Heh, I thought you’d like that. The Skelly’s shield is just a transfer. I copped out on freehanding those. Transfers/decals certainly have their legitimate place! 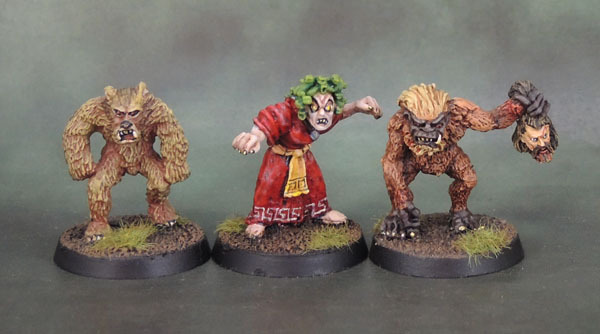 A fun miniature. I see you have been practicing your meander decorations again; it looks good and adds interest to the robe. I need all the practice I can get if I’m going to add them to that Librarian I’m working on… ! 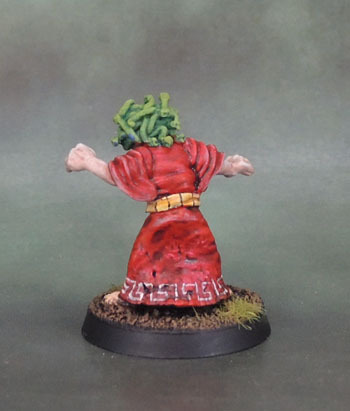 Cool model and great painting… the Grecian key on the robe turned out well! Thanks Warburton. It’s a pretty plain looking model without *something* down there! Thanks.I see the resemblance now that you mention it. Just need some tiny Smurfs now!